Has it really be two weeks since I last posted? Well yes, apparently it has. Life has been busy with the usual stuff. Kids back to school for a new year, the Weetbix TRYathalon, school swimming carnivals, squad swimming, weekend tennis, you know the usual stuff that rolls on week after week. 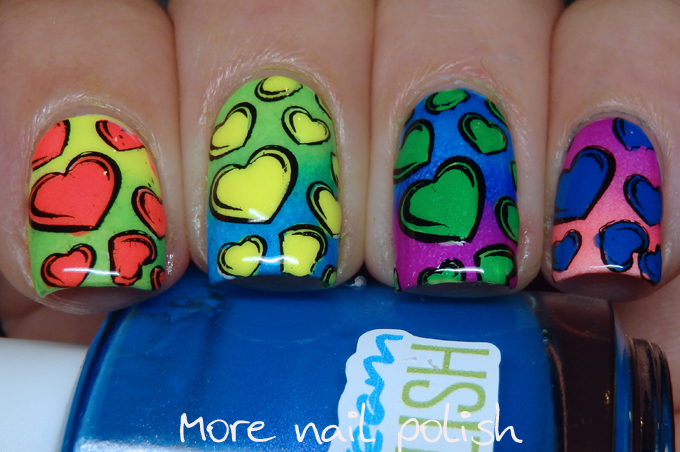 This fortnights prompt for the 26 Great nail art ideas is 'love, but no pink or red'. I've got to say, these too a while to paint, about two hours for all 10 fingers, so it's just lucky that the Dance Legend Bi top coat is still working awesome for me, so I got a full week out of these. 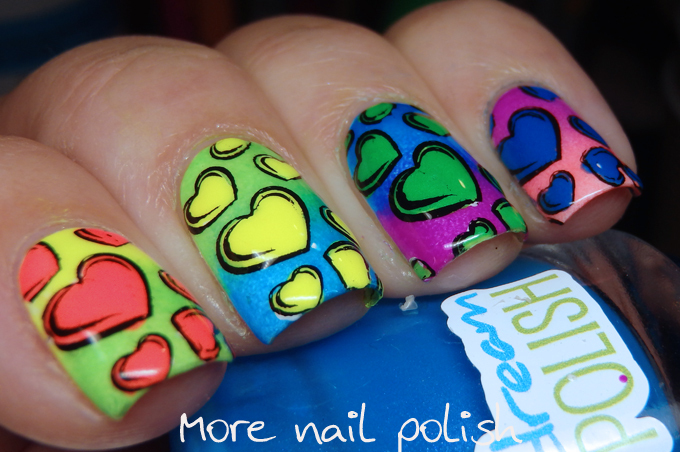 I painted a different combo gradient on every nail using five of the Pipe Dream polish A Night in Vegas Cremes. I then did reverse stamping on five different stamper heads at a time, with the same five shades I used for the gradient. Now I know that the polish looks a little pink on my ring and pinky fingers, but they truely are purple and orange shades. I love this look so much! It's so Peter Max pop art!